Our Norwich office is headquarters for our division as well as for our 2 sister companies, The Evening Sun and Circulars Unlimited, and our parent corporation, Snyder Communications. The Sidney office handles sales and customer service for our Delaware County readers and advertisers. The Norwich and Sidney Pennysavers serve communities in Chenango, Madison, Otsego, Delaware and Broome Counties. Click here to go to the Pennysaver site. Formerly the Richfield Springs and Cooperstown Pennysavers, our Turnpike and Hall of Fame papers serve communities in Otsego, Schoharie, Herkimer and Oneida Counties, including the largest city in our distribution area, Oneonta. Click here to go to the Pennysaver site. Located in Cobleskill, the office for My Shopper handles sales and production for our two publications covering that area. Those papers cover communities in Schoharie, Montgomery, Delaware, Otsego, Herkimer, Schenectady and Albany Counties. The Fort Plain office houses our sales and customer service departments for the Mohawk Valley edition of My Shopper. Click here for more. From our home office, nestled among the scenic valleys and hills of central New York State, Circulars Unlimited has become the nation's largest producer of circulars for the independent lumber and home center industry. We currently serve over 400 locations in 40 states all across the USA. Click here to go to the Circulars site. Serving the Unadilla and Butternut valleys for over a century and a half, The Gazette is a hometown weekly newspaper produced by the staff of The Evening Sun and a team of dedicated correspondents covering the New Berlin, South New Berlin, Morris, Gilbertsville-Mt. Upton and Edmeston areas. The newspaper publishes every Friday. For more information, call (607) 847-6131. 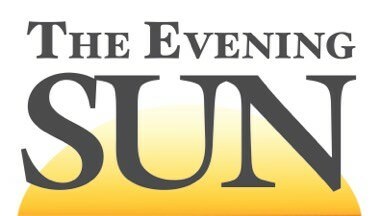 Featuring the best of The Evening Sun, Sun Country is a free distribution monthly tabloid that can be picked up at many local convenience stores, restaurants and community hotspots. In addition to reprints of special Evening Sun stories, Sun Country also contains original features content from United Media and a prominent “Real Estate Showcase” advertising wrap. Call (607) 334-3276 for more information. Sun Printing Inc. is the pressroom, inserting and distribution arm of Snyder Communications, printing daily editions of The Evening Sun and weekly editions of The Pennysavers and The Gazette from a state-of-the-art press and circulation facility on Borden Avenue in Norwich.